Due to changes on Facebook's Graph API, this application is now obsolete. You need to do this manually, but it's very easy! We generated an awesome Timeline Cover for you, but we can't install it on your Facebook Account. 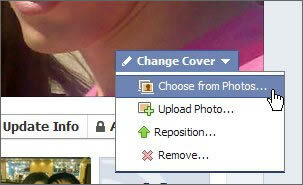 Move your mouse cursor on your current Timeline Cover, and then press the button "Change Cover". If you downloaded our generated cover, press "Upload Photo". 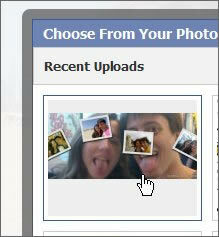 If you published it, then press "Choose from Photos". The generated cover should be in your Recent Uploads, when you choose from photos. Just select the photo and then press "Save Changes". Enjoy it! Learn how to Install the Facebook Timeline right now! You may activate your Timeline by accessing the page Introducing Timeline (click here), and press "Get Timeline". Access the Facebook Developers page (click here). Press the "Create New App" button. On the new window, create a new application called "Timeline", and something random with letters as the namespace. If the namespace shows "Failed", try to change it until it says "Available" (just use letters, dashes and underscores). A "security check" appears when you press "Continue". Just copy the words in the image and then press "Submit". If a red alert appears there, it means you haven't activated your account with a mobile number or credit card. You'll have to proceed with the activation to continue. Once the application is created, you are redirected to the "Edit App" page. 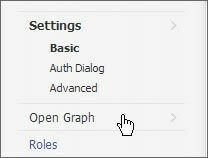 At the left, click on "Open Graph". Create a new action, by writing some words in the fields, such as "read" and "book". Then press "Get Started". A new page appears. It may seem confusing, but don't worry! Now just find the place that says "Past Tense" and make some change there. For example, change "read" to "reed". Save the changes, at the bottom of the page. You may now close the page and go back to Facebook. Just wait some minutes until you see a big alert saying "Introducing Timeline - a New Kind of Profile" in the homepage. These Terms of Service governs our relationship with users and others who interact with Facebook Cover Generator. By using or accessing Facebook Cover Generator, you agree to this Statement. When you access Facebook Cover Generator, we do not log anything about you. When you connect our application on your Facebook account, we store your Facebook Timeline ID, in order to provide the best functionality to our application. We do not store and we do not ask for your email and password at any time. We store your generated covers, and we may delete/erase them from our servers at any time. Note that these tools are not affiliated with Facebook.com, Facebook, FB and all other trademarks and copyrights owned by Facebook, Inc.
We don't intentionally share your contents and information. We use them for statistics in order to improve our tools. A cookie is a small amount of data, which often includes a unique identifier that is sent to your computer or mobile phone, that records information about your online preferences and allow us to tailor the websites to your interests. We store cookies in your computer when you connect our application on your Facebook account, in order to keep you connected and logged in. The cookies that we store are expired when you close your browser. Advertisings may use some of your information, like country you are from, to you get ads that attract your interests. We use Google Adsense. We don't set any other cookie. All content in this site may be watched by children. d) You do not upload or write any type of content that: is offensive or harasses people, promotes some your commercial content or an illegal/unauthorized pirated work, contains passwords to access private pages, displays pornographic or sexually explicit material, provides illegal activities OR creates difficult to maintain our services. You may contact us using the Facebook Comments tool provided in our site.